Do you want to know how to start a cannabis business? Get all knowledge and all the right tools in the 2 DAY cannabis business licensing and start-up seminar. On September 10 & 11, 2016 – We are hosting a live cannabis business training & start-up seminar in Los Angeles area to go over all aspects of cannabis business start-up, operation and how to get licensed in YOUR city or county, as well as cannabis cultivation training. Our hands on cannabis business start-up seminars are perfect way to get started! After January 1st 2018, cannabis patients are exempt from starting businesses under Cannabis Regulation & Safety Act and collective organizations will be limited to 5 patients. It is imperative to know your rights and the law! 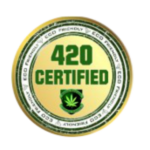 You get an intense day of advanced information about how to start and operate a state approved collective of cannabis patients. Day 1 will focus is on how and why you need to start up your cannabis business PROPERLY and LEGALLY, under the state and local regulation. If you are thinking about entering the cannabis industry or have made up your mind and are ready to start a cannabis business in California, our Cannabis Business Training 2 Day Seminars are for YOU!!! Main objectives include: Step-by-step review of state requirements to start any cannabis related business in California. What business permits and other marijuana business paper work will be needed. How to properly fill out the city or county cannabis business application. Cultivation is Part ART & Part Science – and STILL 100% Illegal – if you don’t follow the law! It’s All About QUALITY AND CONSISTENT “GRADE”, Testing and SAFETY. Focus is on what and how you can achieve the BEST Results to safely cultivate, produce and use cannabis for your better health! Objective: Learn the steps to take to insure you can produce cannabis from seeds, starter plants (clones) all the way through to harvest. 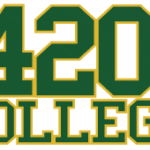 420 College university cannabis training Events Give You a Chance to Reach Out and Meet Others like you who are just getting into the industry.